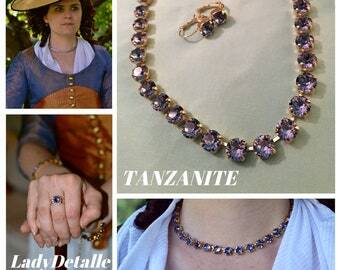 Free shipping to United States with $100 purchase from LadyDetalle. See item details below for sale terms. Introducing, "EMPRESS", a stunning GARNETS & GOLD necklace fit for a lady attending any ROYAL COURT - perfect for balls, royal or noble impressions, also great for operas and special events. 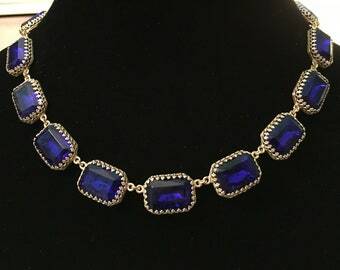 This is the second necklace on offer from my new line, ROYAL YOU, by LadyDetalle. 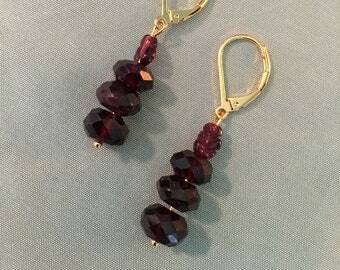 NECKLACE: gold plated settings connected at the TOP to keep the necklace from flipping, set with vintage amethyst glass stones and real GARNET grape dangles, and a gold extender chain so you can adjust the necklace as desired. 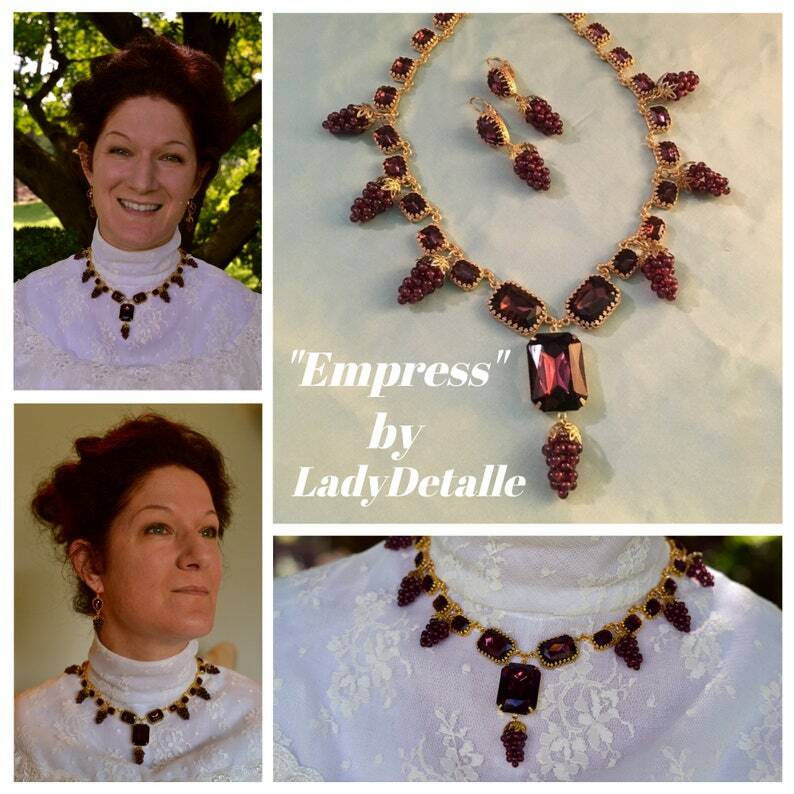 This necklace is truly a necklace fit for the royalty or nobility of the English, French or European court and will work for multiple eras as extant versions of grape jewelry are seen from the 16th century thru the late 19th century: grape jewelry was very popular - I'm calling this style "EMPRESS" as it's great for Empress Josephine or Empress Eugenie. 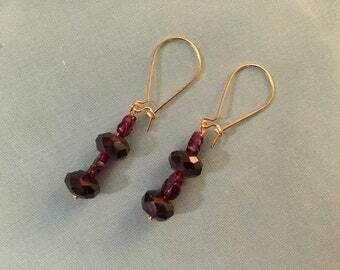 The stones are a lovely vintage amethyst glass with gold foil backs and glint lovely - 7 separate real GARNET Grape clusters dangle from various spots. 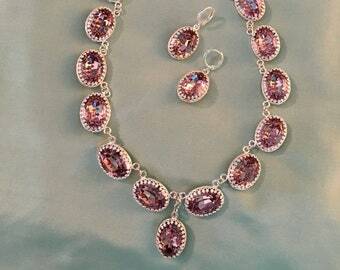 Truly jewelry fit for ROYALTY. 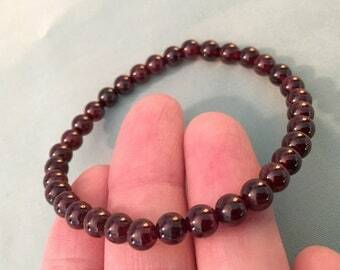 Note: this items ships via USPS Priority or Express shipping as is MADE TO ORDER, so it will take 1-2 weeks for your statement necklace to be created once your order is placed. 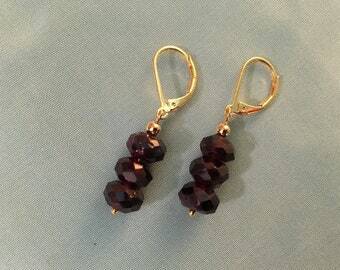 Please convo if you are interested in this listing with another color stone or grapes, and we can discuss what options may be available! 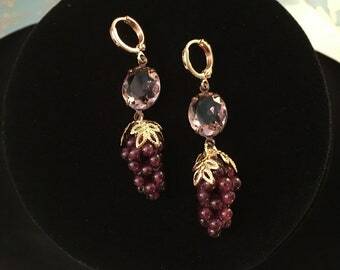 I have a few options available including a black mourning set, and garnet grapes and pearls! Add gift wrap to your order! Item/s will be boxed & wrapped in elegant (or holiday), and your (optional) message will be provided inside! they are stunning. just like photo. We accept payment through etsy, including all major credit cards, and PayPal. Our items are handmade with care and often one of a kind! 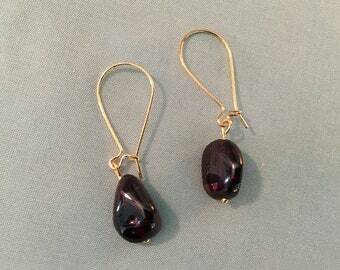 Some of my items are vintage or antique and thus have age appropriate wear. I am unable to accept returns on any items, but if you are having an issue with a purchase, please reach out and let me know what your situation is, as I want each customer to be happy with their purchase! Items damaged or lost in transit are covered under optional shipping insurance (at buyer's request & cost for First Class services, and covered up to $100 for USPS Priority services) and I am unfortunately unable to replace one of a kind, vintage or antique items. All orders are shipped within 1-2 business days of transaction unless additional processing/creation time noted in listing; please note that we are a one person shop, and usually ship 5-6 days a week). Please message with any questions or special requests. Please note that Shipping OVERAGES will be refunded, this can happen on multi-item orders or things like fabric purchases, due to how Etsy calculates shipping. 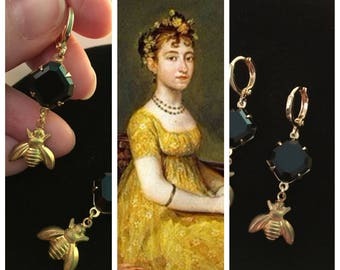 If you are looking for an order urgently, please choose a faster shipping method during checkout: I recommend USPS Priority (2-4 business days within U.S.) or USPS Priority Express (Overnight business or sometimes 2 business days, within U.S.) at additional shipping cost to buyer. I also recommend adding a note to your order or sending a conversation regarding your order, and I will accommodate where I can. All orders include tracking. USPS Priority orders include insurance up to $100, please note that per USPS, claims for lost packages cannot be filed until a few weeks after a package is lost. I will file the claim on your behalf, and you will need to validate. Please note that orders marked as "delivered" will not be eligible for USPS insurance claims: buyer is responsible for ensuring safety of a package at receiving end (USPS will deny the claim). If your order has arrived damaged, you will need to provide proof of damage and I will submit the claim on your behalf to USPS. All refunds/replacements/exchanges will take place once USPS has approved and paid the claim. USPS First Class or First Class International do not include insurance: insurance on First Class and above $100 on USPS Priority is extra and optional, please reach out to add to your order, I am not liable for any items lost or damaged in transit by USPS. Lady Detalle ships everywhere! Please note that customs forms will be filled out with the items and values from your order, and buyer is responsible for any customs due. International shipping can be pricey and is often delayed. Status of USPS First Class International is often inaccurate/non-existent once it leaves the U.S. and is not insured. I highly recommend choosing USPS Priority International (quoted as 8 business days) or Express International (quoted as 3-5 business days) at checkout if you need your order quickly and live overseas. I am not responsible for items lost or damaged in transit by USPS or receiving country. Please note that all orders returned to the shop for incomplete or inaccurate addresses or unclaimed/un-deliverable, the buyer will need to pay shipping again (with an updated/corrected address provided if applicable), before it ships out again. I will attempt to contact the buyer multiple times to get an updated mailing address and listing purchase for the re-delivery shipping coverage; non purchased re-delivery shipping listings or non-responsive, will automatically return an item to stock after 15 days. Please feel free to contact us via message regarding your question or special request. 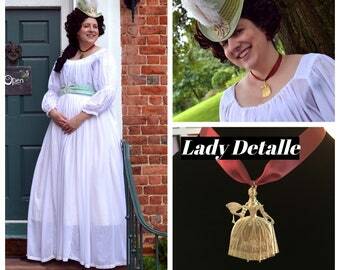 Lady Detalle has very limited time available for such endeavors, but if you allow time for us to process custom requests, we may be able to accommodate: thank you!